Nintendo is putting two classics on the Wii U eShop today, although they can hardly be called classics in the same regard. One is one of the undisputed greatest games of all time, and the other is a hidden gem that many overlooked the first time through. I'll leave it to you to decide which is which. First up is Super Mario Advance 4, a Game Boy Advance remake of the NES masterpiece, Super Mario Bros. 3. This version comes with the improved 16-bit graphics and the save feature which always eluded the NES original. As an added bonus, Nintendo also included the eReader card levels in this version, making it the most definitive and complete to date. If you don't remember, the Game Boy Advance eReader allowed players to swipe special cards for bonuses, and some of them unlocked unique levels within the game. Just like an amiibo! I never found one of these rare cards, so playing them will be a first for me. The other classic is more of a cult classic, really. 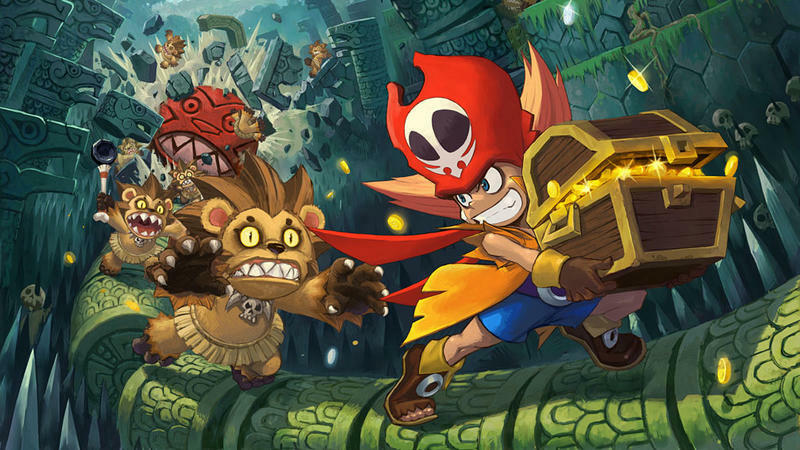 Zack & Wiki: Quest for Barbaros' Treasure was developed by Capcom and published at a time when every company on the planet was dumping shovelware onto Nintendo's Wii console to make a quick buck. It was sadly lost under the piles of garbage, but those who discovered it found a true "diamond in the rough." This humorous adventure game deserves a second chance more than any other Wii game I can think of, so be sure to check it out. Super Mario Advance 4 can be picked up for $7.99, and Zack & Wiki: Quest for Barbaros' Treasure will be available for $19.99.